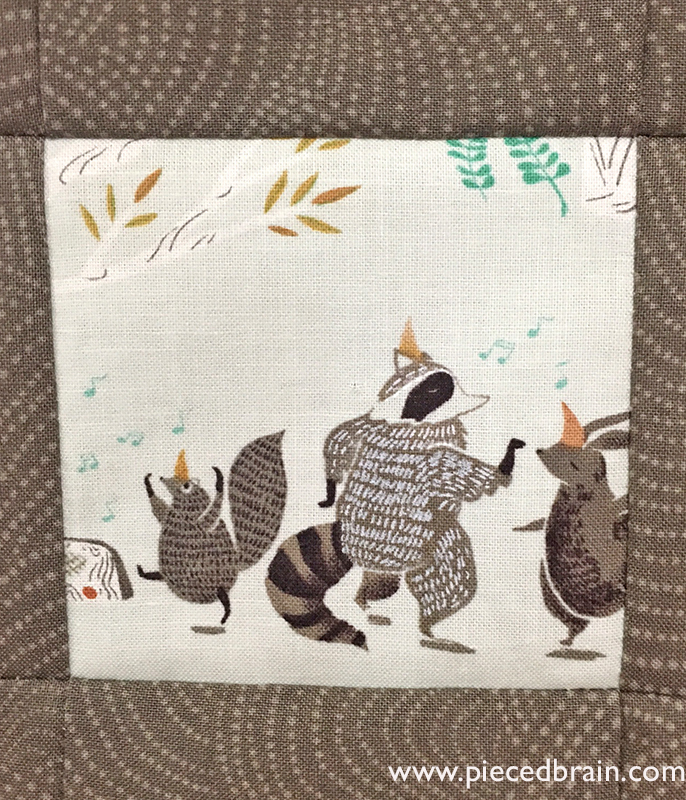 I am so excited to announce my newest pattern, In The Woods! 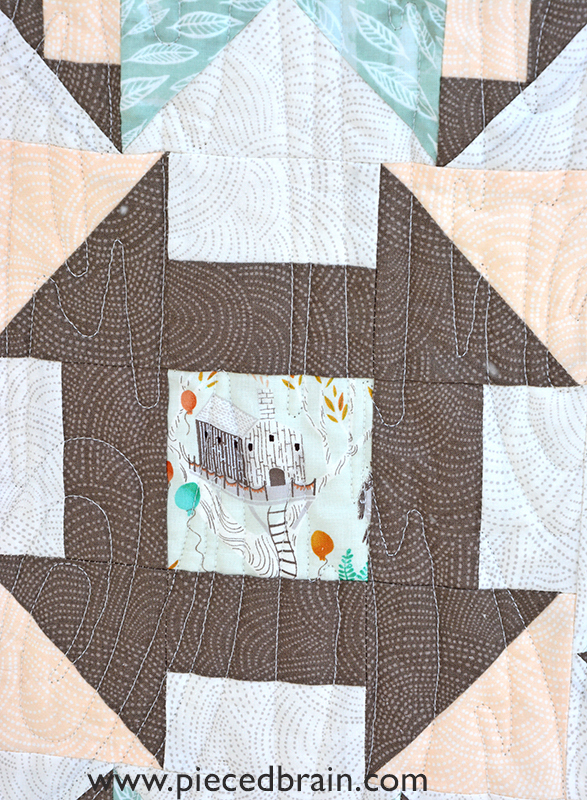 Two blocks with carefully planned color placement make up such a cute design! 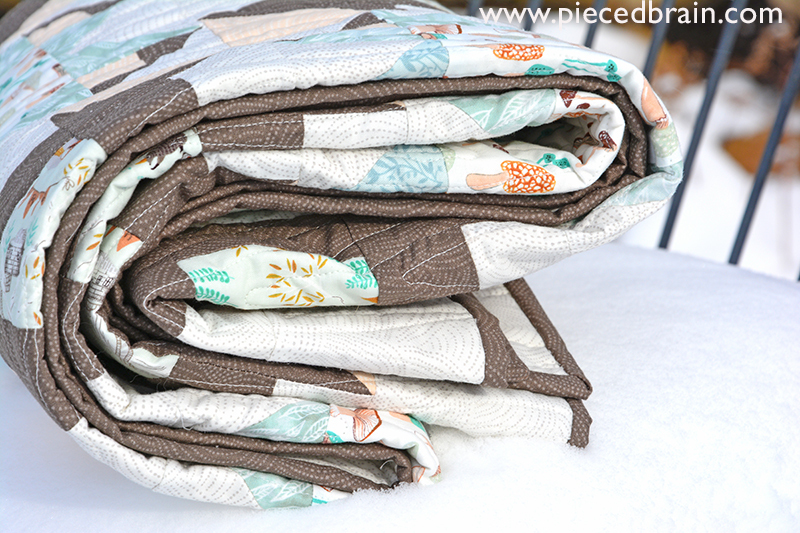 It measures 47" x 63" - a perfect size for a lap, or an oversize baby or toddler quilt. The blocks finish at 8", are easy to put together, and you also have the help of photographs to make the process faster. The downloadable pattern is available for download from my Etsy store Quilterly, and printed versions will follow. 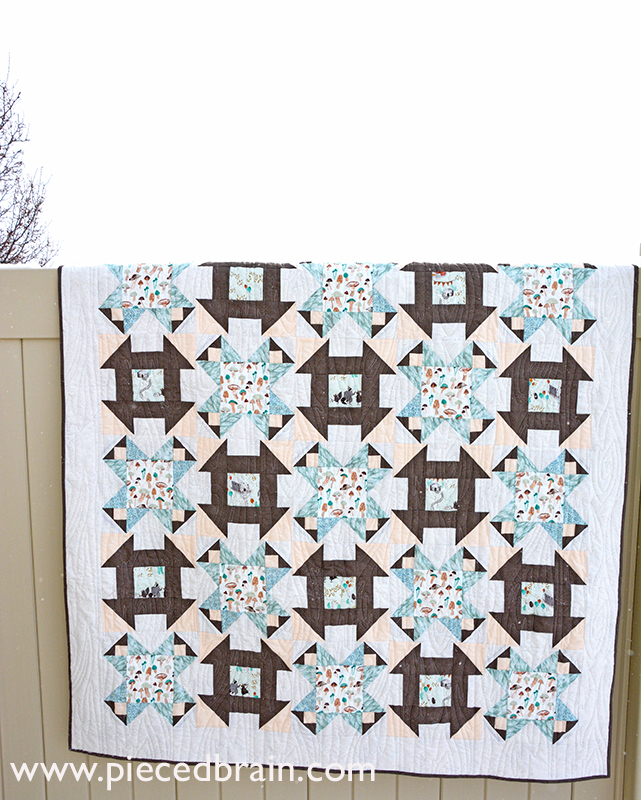 This design works great with solids or other prints as well, but I could not resist using Dear Stella fabrics! The forest animals are celebrating a birthday party, thus the balloons. I love the tree houses, the fox's den, the mushrooms, the ferns, the colors! I was in a Zen state while piecing it, for which I used Aurifil 50wt thread. 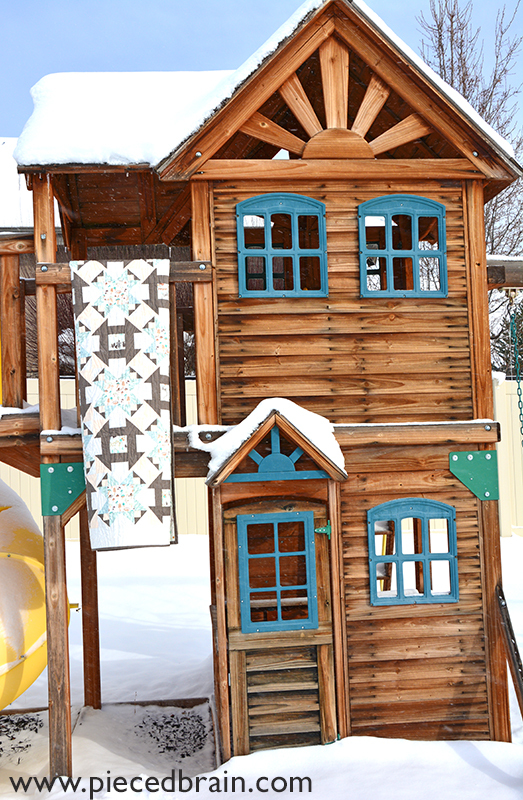 As I came around to the other side of my backyard to take more photographs, I found blue sky. (What???). Melissa from Sew Shabby Quilting quilted In the Woods with a wood grain motif. Awesome work! So, this is my finish for this week. Love the pattern, and I hope you like it, too! Have a great weekend, and don't forget to enter the Blog Anniversary Giveaway: the winner will be announced on Monday! That is wonderful and the photos of it are just great. Thank you! 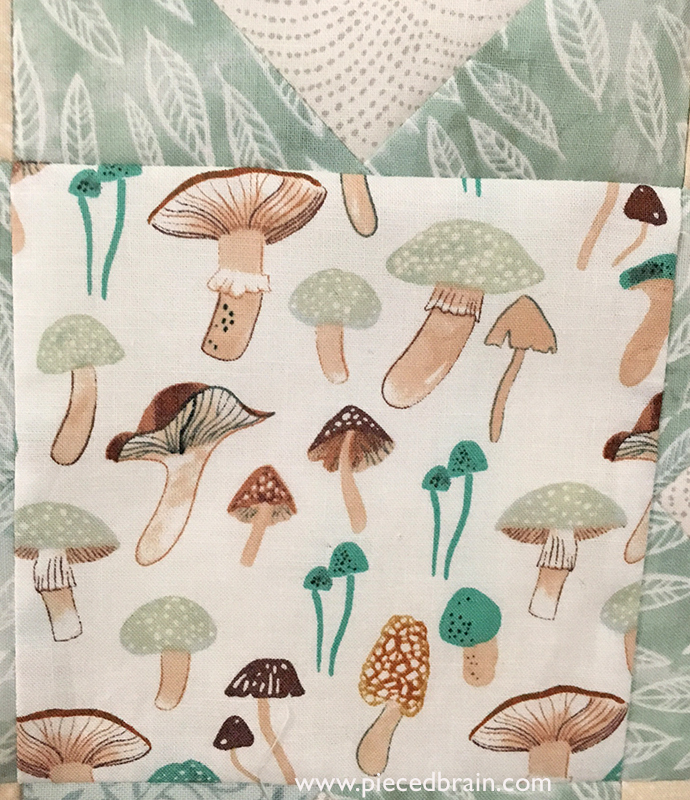 I really enjoyed making it as the fabrics are dreamy and the pattern easy.